I am now a follower....and hopefully a winner! Congratulations on all your followers, I am now one too =) I love your site. My school is just now starting to emphasize using guided math more in the classroom. Your ideas are so helpful! following you. Do love your site! Lots of great useful info! Thanks for offering this up. Even if I do not win I plan on purchasing this game...always lookign for great games for indoor recess and centers. I'm a follower! Great site! I'm a follower!! Love your site!! I'm a new follower. Can't wait to take a look around! I'm a follower!! Great blog -- can't wait to use some of the resources when school starts back up. Thanks for sharing! Congrats on 200! Looks like a fun game! I'm a follower. I am a follower. Looks like a great game! Congrats on 200! I will be voting for your awesome website!!! Always looking for fun math games!! I'm a follower and I voted for you! Thanks for sharing so many wonderful ideas! Congrats on the 200+ followers! Good luck with the contest! I also just recently found the teaching blog addict and love it! (that is how I came across your wonderful blog) I have learned so much already! I am a follower and I love this game!!! Congrats on over 200 followers! So exciting! I'm now a follower of your blog! WOW ~ you have an amazing site! I am now a follower and I voted. Congratulations on reaching the milestone of 200 followers. I am alread a follwer of your blog. I am a follower of your blog! I love all of the great ideas and inspiration you share! Now a follower! Congrats on your nomination. Love guided math. I follow your blog and love all your ideas! I am so excited to find this blog. I am hoping to use guided math in my classroom this school year. Congratulations on your big milestone. 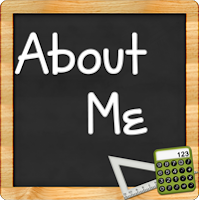 I just discovered your blog and I recently joined the guided math group! Thanks for sharing all your great ideas. I'm already a follower! I really enjoy your site! I follow your sassy blog!! Congrats on 200 + followers! I am now a follower as well. Thanks for sharing and I can't wait to dig into your blog! following... and congrats on the really good stuff blog nomination! I love your blog. I am a follower!! A friend just shared your blog with me. thank you for sharing your wonderful ideas! I'm a new follower! Thanks for sharing your resources and ideas. I am not the least bit surprised about the number of your followers. I am loving your blog and am now a follower. I'm a follower. Love your blog! Yours is the first blog I check out every day. Keep up the good work. Congratulations on the nomination, Mary! Off to vote, now! 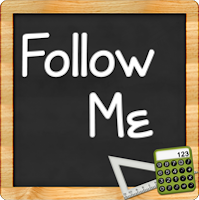 I am a new follower and I'm excited to explore guided math more, so I'm thinking I'll be visiting your blog often! I'm a new follower! I love what you have to offer, especially because I've been working so hard to implement Guided Math next year. So glad I found you! Thanks for putting this Blog together! I've checked it often and am now a follower! I've been a follower for a while. I voted for your blog one day ago. Good luck, and congratulations on reaching 200 followers. Just found this blog and became a follower. Thank you! I just found your blog and I love it! I recently got trained in ADDVantage Math/Math Recovery and love, love, love all your stuff! I am now a follower, too. I am a new follower and I would love the game. I'm a follower of your blog! Congrats on your accomplishments! I follow your blog...lots of helpful info!! Congratulations!! Hopefully I will be a will a winner now that I'm a follower!! I am a follower. Love all the ideas you share. 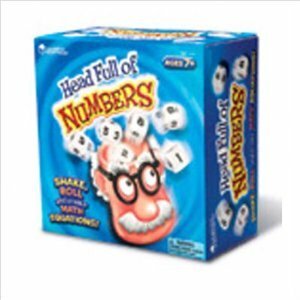 Can't wait to find the game "Head full of Numbers" to use in my classroom. I am a follower. I teach middle school math and your ideas are the ones I use to reinforce basic math skills for my struggling students while engaging them! 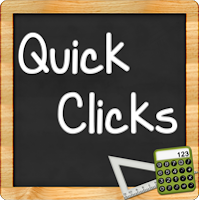 I am excited to find a good source for guided math advice! I am a new math coach looking for ideas to pass on to my co-workers. I am a follower and (in a shameless attempt to up my chances of winning ;))can't wait to share it with the teachers at my school! Love the blog! I'll be bookmarking this one! I follow your blog and love it! Thanks for all you do. Voted for you also. I am now following. Nice to know about this resource. Will vote for you too! Love your blog and have learned alot by following it! Thanks! I am a follower! Congratulations on 200+ followers - that's wonderful! I am follower!! Great blog! Congratulations on reaching 200 followers! Hope I can help you make it to 300 ~ I'm a follower now! Congratulations! Hope you win. I'm new, but I hope to see more helps as I start year 2 in implementing Guided Math. New to Third Grade this year. I am a follower of your blog. Congrats on your nomination. I follow your blog and really hope to win! I love your great ideas. Thanks for sharing. A grateful follower. I'm a follower & I posted about your giveaway! I follow your blog! That game looks so fun! I follow your blog! You share great ideas! I've never played this game, but looks like one my firsties would love! I'm a follower & would love that wonderful game for my classroom! I follow your awesome blog! I would love for you to follow mine at mysecondgradejournal.blogspot.com. Hope I win because my kids would love that game. Just stumbled across your blog (through the RGS vote actually!) and I love it. I'm a big advocate of a math workshop also. I love your ideas. I am going to add a 4th rotation this year I think...it'll make my life easier! I just found your blog! I am so excited to find a blog about Guided Math!!!! I can't wait to pass this information along to other teachers that work with me. Yeah!!! I love your blog, it's full of ideas I can implement in my classroom. I'd love to implement that game into my classroom, too. Currently, we play The 24 Game but I think this one looks like something we need to get into, also. Congratulations! Thanks for sharing so much information. I'm an email follower. Can't wait to look around. I tried to do something similiar to guided math last year...I just called it math groups...I am anxious to see what's on your site that I can use! Thanks for such an informative blog!! Just started following your blog and I'm super excited. I'm always looking for new ideas to use in my math centers. This game looks like a lot of fun! Great blog! Thanks for all of your hard work! I just found your blog and LOVE it!! I'm a new follower! Thanks so much for your great ideas! Thanks for the awesome giveaway and fantastic site! 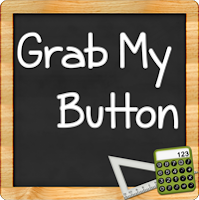 As a math coach, I get so many great ideas from the blogs around and yours!! I follow your blog and I LOVE it! I really want to do a better job with Guided Math next year and this blog really inspires me!! Just learned about your blog and loving the information posted! Thanks! I'm a follower! I love new math ideas! Hi, I became a follower and I voted! I'm new to blogging! Hi, I voted for your blog on Really Good Stuff and signed up to follow your blog. I will be piloting Guided Math in my 2nd grade classroom this fall and am so happy to have found your blog! I voted fo your blog. Thank you for sharing! I am a follower!! I love your blog! I am a math resource teacher and would love this game.